Blink again, is that a giraffe trying to squeeze into BART there? 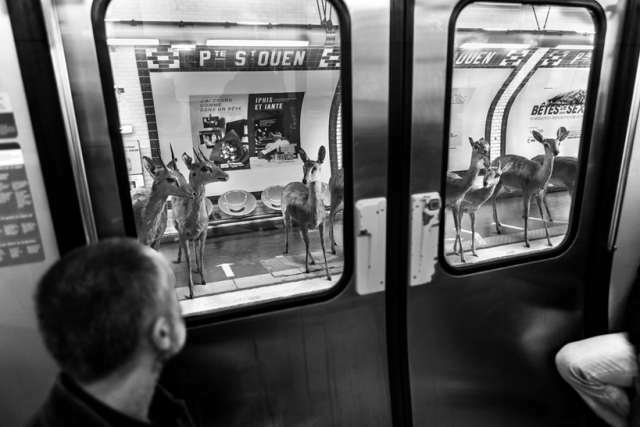 Photographers Thomas Subtil and Clarisse Rebotier have imagined what the Paris metro would look like if zoo animals took it over. 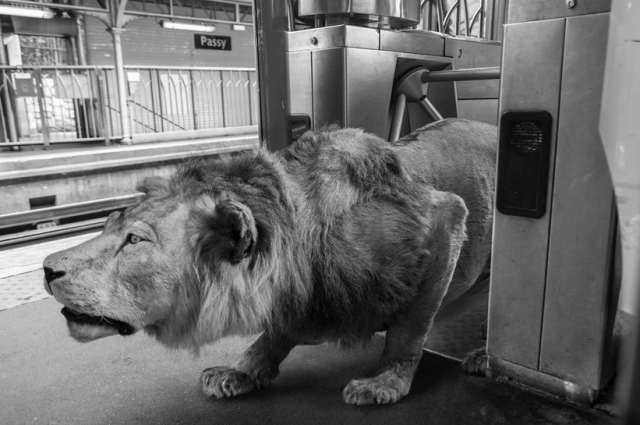 In their photo series, a lion passes through the turnstile, another giraffe cranes its neck to see the view from the train, and an elephant gracefully rides the subway with a tiny bird on its back. You can see all the photos in the gallery here. Prefer real animals? 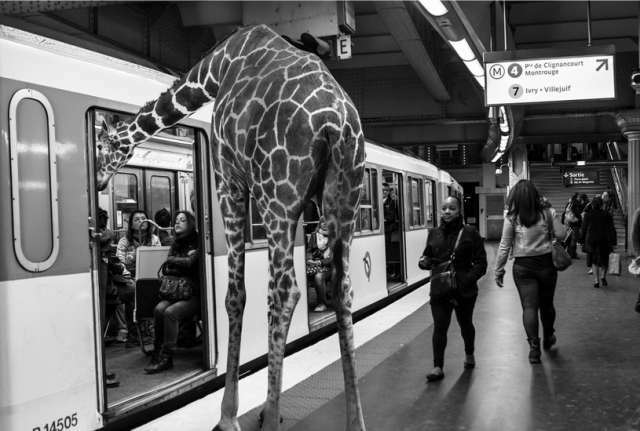 Browse through our Animals on Muni page – some seem more surreal than others.